Why should hunters use fresh whitetail deer urine? I think the real question is..... WHY WOULD YOU USE ANYTHING ELSE? Hi I'm Doug Walter Co-owner at Rubline Scents. I have been in the hunting industry for 30 years. Rubline Scents became a focus for Andy and myself when we really got serious about hunting. Why not use the freshest urine while heading to the woods? To guarantee freshness we started collecting our own urine and bottling it. 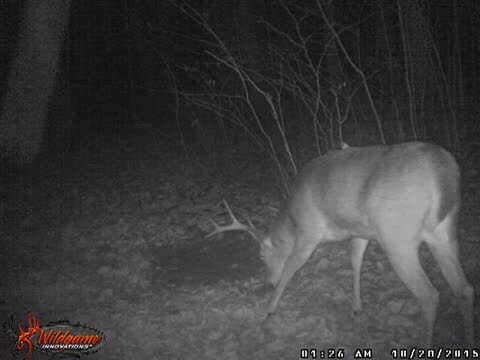 Results started very quickly when I started putting the biggest buck's of my life on the ground year after year. Friends and family wanted to know how I was doing this and we started sharing our secrets. If you have not used fresh urines, you need to start. Rubline Scents are focused on providing services with the highest levels of customer satisfaction – we will do everything we can to meet your expectations. Thank you for taking the time to look at our page and I guarantee you will enjoy seeing our product in action!! Check out this video of a mature Pa buck coming in to a mock scrap I made during the rut using our Doe In Heat Urine. Hello everyone, I'm Andy Rice co-owner at Rubline Scents. I have a true passion for raising and hunting Whitetail deer. Rubline Scents became my main focus as Doug and myself started crushing the biggest and most mature bucks of our lives! Each year time in the woods is limited for most hunters. So if you are searching for cutting-edge tactics to step up your game, we have your solution! Rubline Scents is committed to supply the purist urine know to the nose of a Whitetail. Our product is a must have and guarantee quality and freshness in every bottle. Try Rubline Scents for yourself and experience the difference. We look forward to helping you put the next big trophy on your wall!! Thanks and all the best!